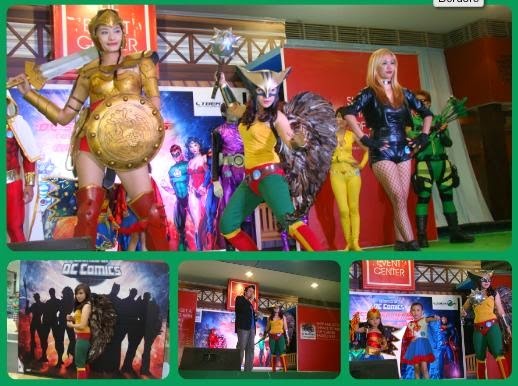 Earlier today, cosplayers gathered at the DC Comics Super Heroes Cosplay Competition at SM City Bicutan. 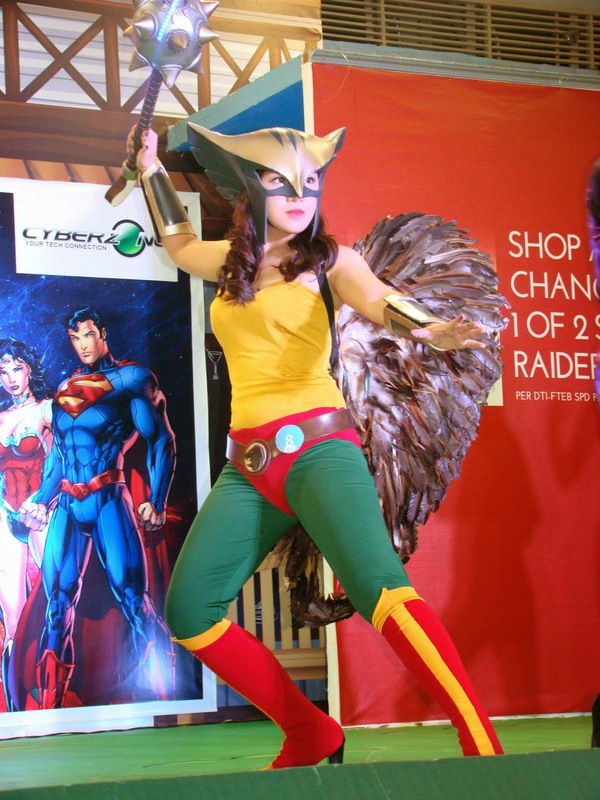 13 contestants came dressed up like their favorite super hero and/or heroine. It is amazing how much work the participants have put into their costumes! There are so many characters to choose from, so each one has the potential to look awesome and stand out. The runway performances were remarkable! Contestants acted in a skit, danced and presented their character's demeanor in an amazing cosplay. Some used their props well in striking a pose. Confidence shows if cosplayers feel really great about what the are doing. And this makes a difference. This Sunday activity culminates the series of pocket events held at the 13 different SM Malls in preparation for the DC Comics Super Hero World Record Event slated on April 18 at SM City North EDSA. So be there and get to witness this momentous activity. 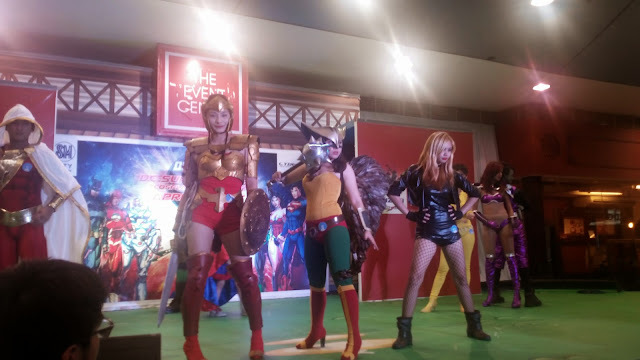 Manila (the only Southeast Asian Nation) joins the other fourteen cities around the world in an attempt to set a world record for the largest gathering of people dressed as DC Comics Super Heroes held at multiple venues around the globe within 24 hours this April 18th. The DC Comics Super Hero World Record Event will kick off in Queensland, Australia with a celebration at Movie World Australia theme park, and come to a commemorative close in Los Angeles, California, USA at Hollywood and at Highland. Warner Bros. Consumer Products (WBCP) and DC Entertainment (DCE) invite fans of all ages to participate in setting this heroic world record by dressing from head-to-toe, close to the original DC Comics’ Super Hero’s costume as possible that has been featured in a DC Comics published book, television program or film. Congrats to Hawk girl for topping this one. She really rocked her outfit. The others were also great in their characters. Congrats to the winner. The prize is well deserved!